Scented with pure Australian sandalwood oil. 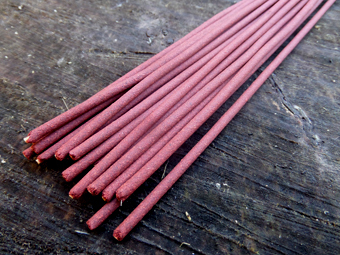 Our pure red sandalwood incense is earthy, with creamy sandalwood downs and rich, uniquely floral top notes. One of the most ancient and revered ingredients in perfumery and incense, sandalwood is traditionally used to help evoke a sense of clarity and calm for meditation.